← Does anyone remember these? Growing up, my sisters and I were allowed one hour of TV time per day. That meant the other 23 hours had to be occupied by other activities. Aside from sleeping and school, much of the day was spent daydreaming, imagining, and reading. In fact, much of the night was spent reading, too — the garage light shone through my bedroom window, leaving enough light to read by. I spent many nights with a book hidden under my pillow until my parents came in to say goodnight. Jason is a young boy who is grounded after a series of mishaps one afternoon. Gareth is his black cat lounging lazily in his bedroom. As Jason bemoans his sentence to spend the afternoon in his room, he is shocked to hear Gareth reply. More shocking than the fact his cat can talk, however, is the fact Gareth can travel to any time and place in world history. 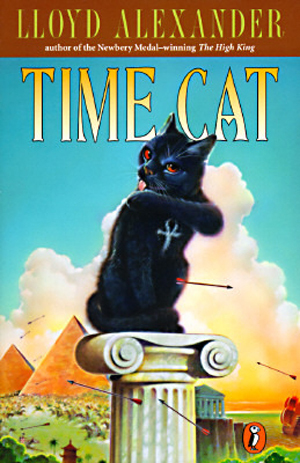 Each cat is given nine lives — or rather, the ability to visit nine different lifetimes. Together, Gareth and Jason wander through history, making some of the most memorable friends (and enemies) along the way. When it comes to books about the power of imagination, this one takes the crown. Siblings Ben, Tom and Lindy Potter meet the eccentric Professor on a trip to the zoo one day. The Professor tells the children about the magnificent Whangdoodle, which is far better than any creature in the zoo — and also happens to not exist. 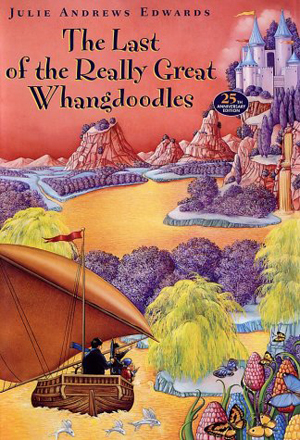 Except the Whangdoodle does exist, in Whangdoodleland. The only way to get there, however, is by using the imagination. I was enchanted by this book from the first reading. The idea of traveling to an exotic, magical land through imagination is a surefire way to encourage young readers to exercise their imaginative muscles. Technically this is a series of four books, not a single book. However, I never read one without reading the other three immediately after. The only thing that could have made the flow from one book to the next faster would be if a single volume was released. 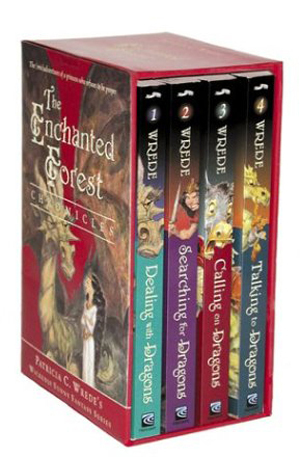 This is a young adult fantasy series following the adventures of Princess Cimorene, the dragon Kazul and the residents of the Enchanted Forest. Cimorene isn’t your cliched Disney-style princess, which makes her excellent role model for young girls. Cimorene isn’t the type of princess to get kidnapped by dragons and wait for a prince to save her — in fact, Cimorene is the kind of princess to run away from home, volunteer to be a dragon’s housekeeper and scoff at any prince who attempts to “rescue” her. This 44-book series is about two things almost every little girl desires: friendship and ponies. 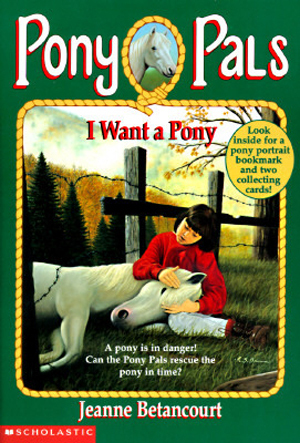 I originally begged for the books because they were about owning ponies, but what hooked me into reading others in the series was the bond among Lulu, Anna and Pam. In the first book of the series, the trio become best friends and form their own club, bonding over their shared interest in ponies. The idea of lifelong friendship and creating a club caught my fancy and carried me through three additional books in the series. Although I never had to opportunity to buy or check out the remainder of the series, I reread books 1 through 4 frequently. This is another book that championed the power of imagination. Jesse and Leslie befriend each other as fifth graders when Leslie moves into the school district. Leslie, who doesn’t have a television (can we say “unplugged imagination,” anyone?) spends much of her time outdoors, and Jesse joins her in imaginative play in the woods near their house. 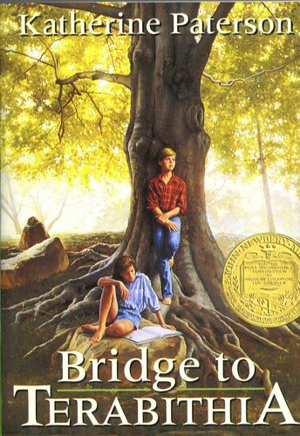 Leslie and Jesse create the imaginary kingdom of Terabithia, where they are the rulers. In Terabithia, they have a series of imaginary escapades. This book inspired me to create my own imaginary kingdom of Cleovet in my mother’s backyard garden. This is the kind of book that helps bring a child’s imagination to life. This entry was posted in Reading and tagged books, children, family, reading. Bookmark the permalink.